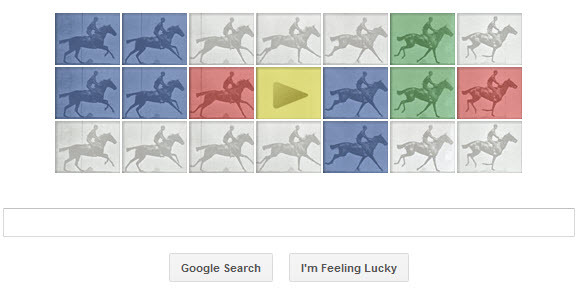 Google is celebrating Eadweard Muybridge’s 182nd birthday with a animated The Horse in Motion google doodle. Eadweard J. Muybridge (9 April 1830 – 8 May 1904) was an English photographer of Dutch ancestry who spent much of his life in the United States. He is known for his pioneering work on animal locomotion which used multiple cameras to capture motion, and his zoopraxiscope, a device for projecting motion pictures that pre-dated the flexible perforated film strip.